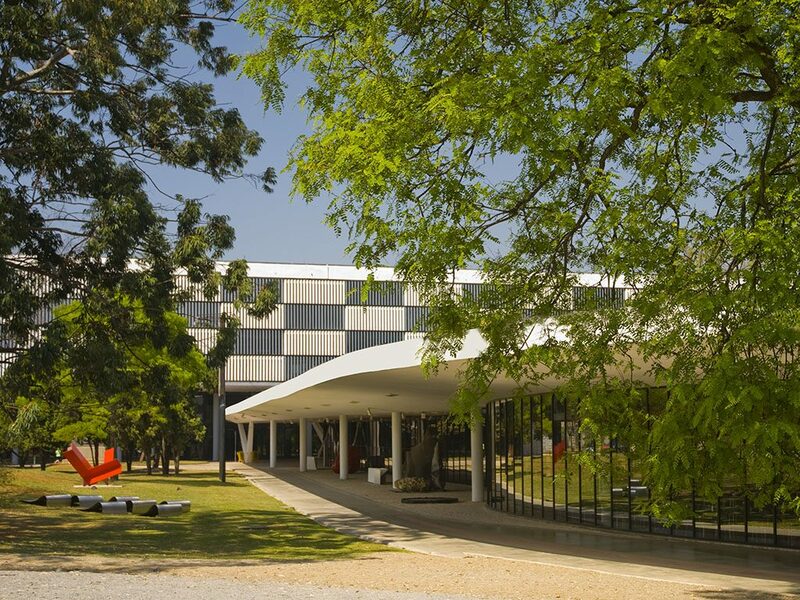 São Paulo’s Museum of Modern Art (Museu de Arte Moderna de São Paulo) commemorates seven decades since its founding in 1948 through midyear 2019. Simply known as MAM, the museum sets in motion this year’s celebrations with the collective exhibition Novas Aquisições no MAM (New Acquisitions at MAM) organized by the museum’s curator since 2002, Chilean-born Felipe Chaimovich. The exhibition stages twenty-four pieces bequeathed by private donors to the MAM São Paulo collection in the last five years now on show for the first time. Among the older generation of Brazilian artists are works by constructivist Lothar Charoux (1912-1987), experimentalist Julio Plaza (1938-2003), syncretic Mestre Didi (1917-2013), textile artist Jacques Douchez (1921-2012), and visual-art poets Rydias (1948-1979) and Almandrade (1953). The contemporary art pieces on display are by Mauro Restiffe, Jonathas de Andrade, Sandra Cinto, Laura Lima, Marcelo Moscheta, João Castilho, Rodrigo Andrade, Pedro David, Erika Verzutti, Luiz Roque, and the collective avaf (assume vivid astro focus). 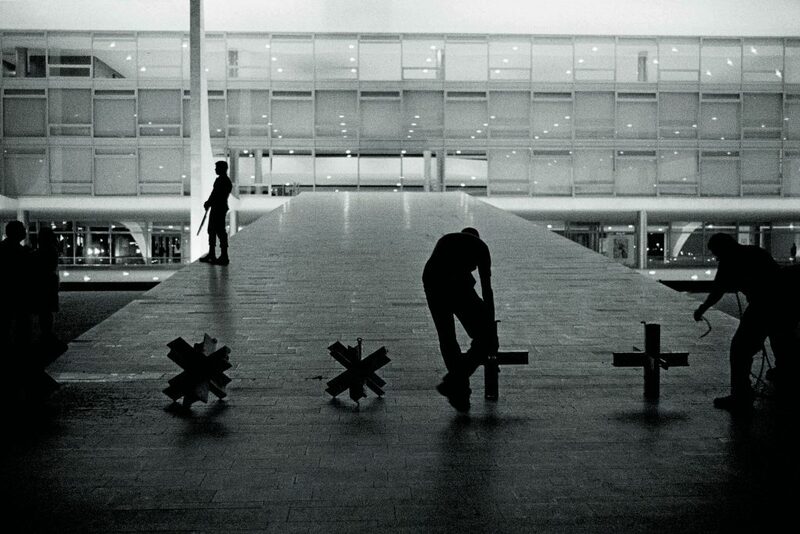 Also present is a photo series with strong political statement by the radical collective 3NÓS3 active from 1979 to 1982, made up by performance artists Hudinilson Jr. (1957-2013), Mario Ramiro (1957) and Rafael França (1957-1991). Felipe, the MAM collection is known for having geometric abstractionism at its core. Tell us about this angle related to the recent donations. The MAM has a historical relation with geometric abstractionism. 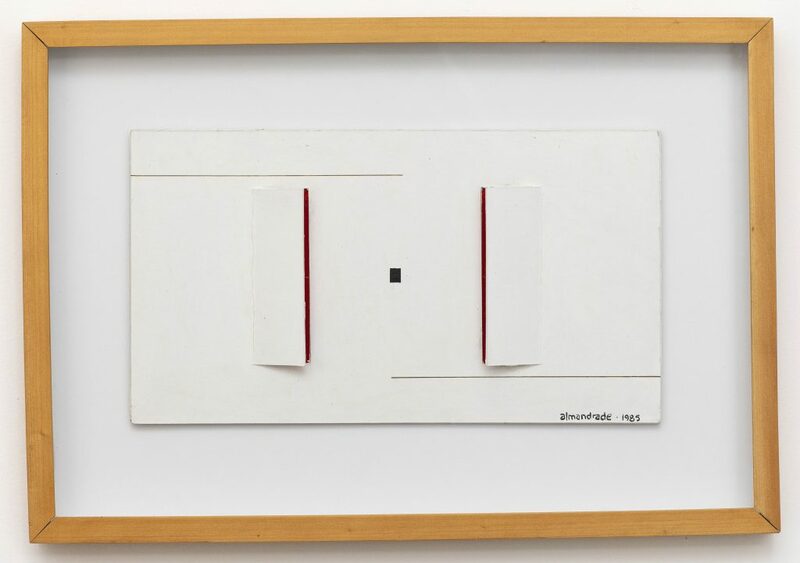 The oldest piece in the exhibition is the 1958 drawing by Lothar Charoux. Another example of geometric abstractionism in the new acquisitions that shows the style assuming a political stance in the sixties is the book project of artist Julio Plaza. The work invites the viewer to peruse through its colorful pages and leave behind the traditional passive stance viewers have when looking at art. Another facet of the movement is its lyrical character that advances through the 1980s. It is present in a wall tapestry, now in the collection, by Jacques Douchez, a French textile artist who spent his professional life in São Paulo. What is another angle in the works donated lately? As well as reflecting about its own trajectory, the MAM also tackles the country’s myths. The capital, Brasilia, is the most monumental ode to geometric abstractionist design applied to architecture and city planning. The city comes forth in a wake ceremony captured by a photo by Mauro Restiffe. Another angle of the country’s imagery is conveyed in a strong statement piece inspired on phrases by sociologist Gilberto Freyre, originator of the myth of Brazil’s racial democracy, in a piece by Jonathas de Andrade that groups Freyre’s words along with stereotyped photos of Afro-descendants laziness at work. The confrontation of geometric abstractionism and Afro-Brazilian mythology gains ground in the oeuvre of Mestre Didi. The relation between geometry and power is at the core of visual poets of the 1970s Almandrade and Ridyas. Their works convey the struggle to find a breath of freedom between lines and page columns in a world compliant with mass communication. Reflecting about the MAM’s own trajectory, as you mentioned, are there contemporary works now in the collection that relate to the museum’s privileged landscaped location at Ibirapuera Park? I would say it manifests in the repetitiveness of the photographic work by Marcelo Moscheta, in the paintings by Rodrigo Andrade and in the work by Sandra Cinto, a sky that hovers between fantasy and reality. Tell us more about the narratives of the contemporary artworks in the donation. The contemporary art nucleus is where the collection moves radically away from rationalism. 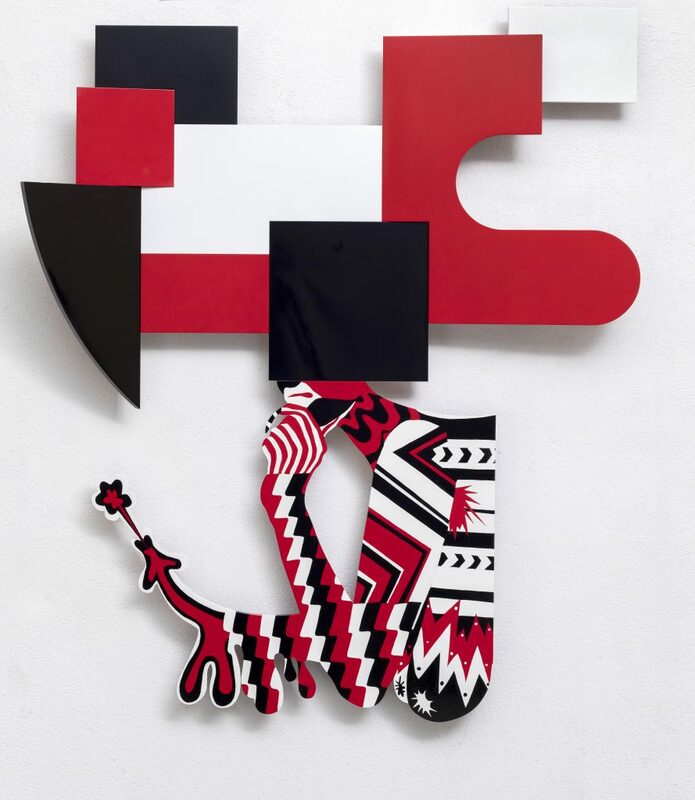 For example, the painting by avaf uses elements in red and black to get to an anarchical construction. 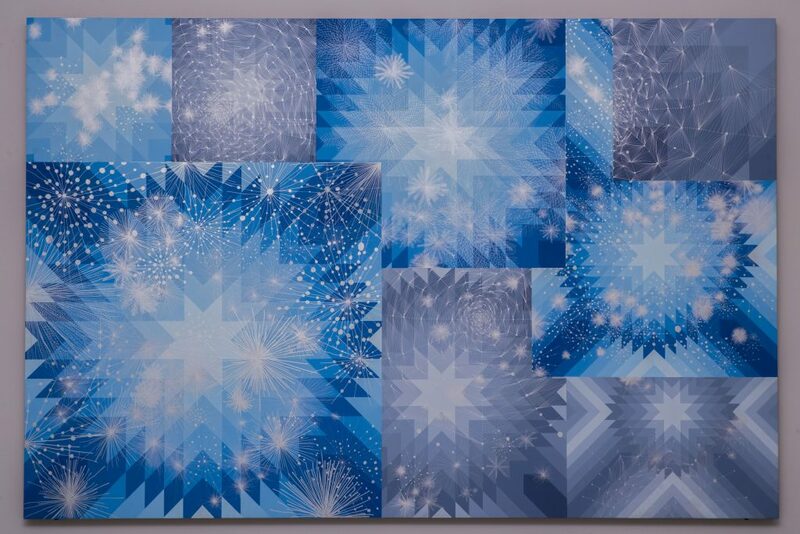 Laura Lima’s textile panel is about destruction by haphazardly shredding the yarn and knotting it in coarse fashion. 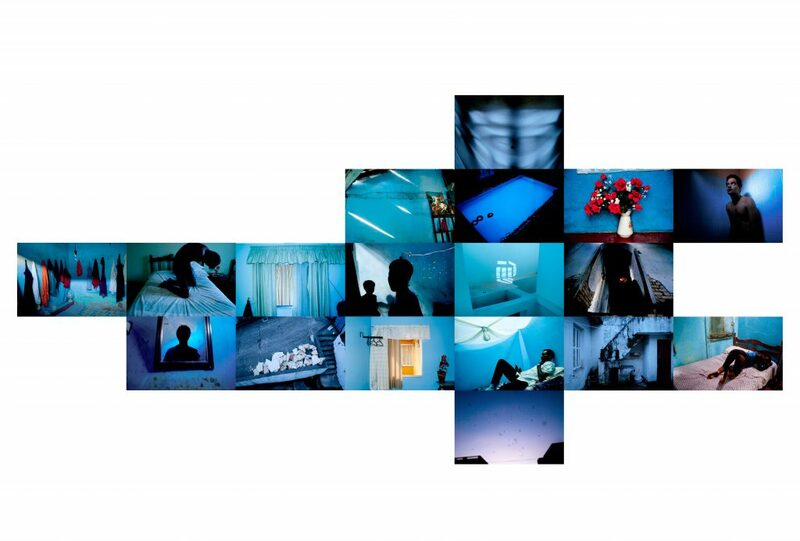 João Castilho fragments his narrative in blue rectangles. Eighty-five-year-old Montez Magno defies urban planning by using random data. 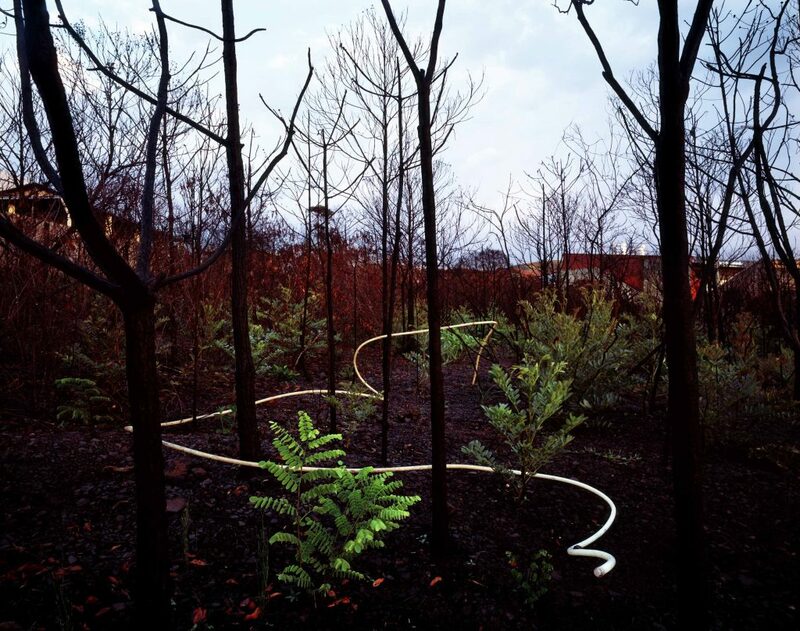 The photo by Erika Verzutti and Luiz Roque is a puzzling play of shadows, and an arid world devastated by wildfires moves the series O Jardim (The Garden) by Pedro David. Among the donations are there works with a clear political edge? In this domain, two works stand out. One is Luta (Fight), a painting by José Roberto Aguilar, made in 1967 three years after Brazil’s military coup took place, and the other is the photo series, Ensacamento (Hooding), a form of torture that places a hood over the entire head of a prisoner. The work—an action that involved hooding urban statues of public figures—was performed in 1979 by the short-lived collective 3NÓS3.